Versatile public and digital artist Morgan Barnard joins Ideum as our first Digital Artist in Residence. Ideum has created and filled a new position: Digital Artist-in-Residence. Morgan Barnard brings a wealth of experience and new ideas, particularly in the realm of large-scale and immersive installations. 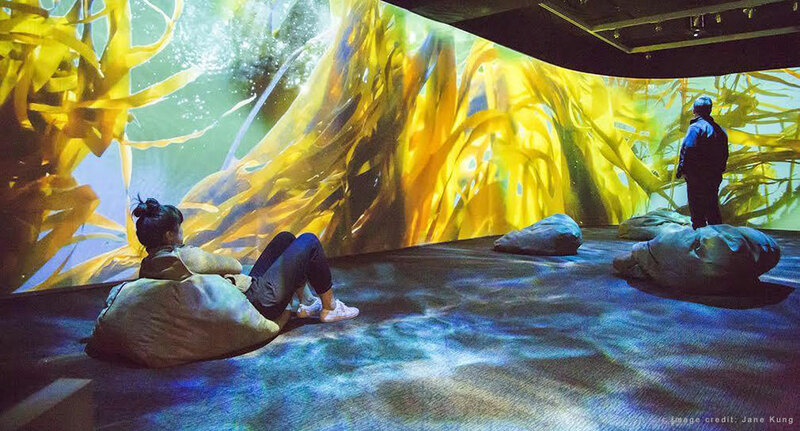 As Ideum has evolved, we have set our sights on creating spaces that use a wide variety of digital tools, from projection and projection mapping to video walls, sensors, and other interconnected devices. (Please take a look at the Work section in our portfolio to see these exciting projects.) Morgan’s body of work and deep knowledge base adds to the already talented interdisciplinary team at Ideum. His expertise, plus his skill as an educator, will facilitate a design environment that enables us to create even more innovative visitor experiences in the future. Morgan holds a BFA in Film/Video/Performance from California College of the Arts and a Masters from the Interactive Telecommunications Program at New York University. Before joining Ideum, he was the Department Chair of the Visual & Media Art Department and Associate Professor of Digital Media at Long Beach City College in California. Morgan has developed projects for public art installations, immersive exhibits, and live cinema. Check out Morgan’s 2017 reel. 2017 Reel from morgan barnard. Tilikum Light is part of TriMet’s Public Art Program. 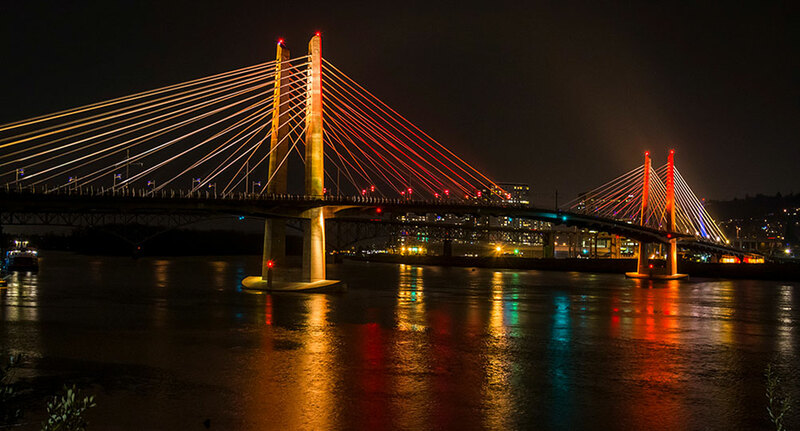 Morgan collaborated with artists Anna Valentina Murch and Douglas Hollis to create a dynamic lighting experience on the bridge that changes in relation to the natural conditions of the Willamette River in Portland, Oregon. 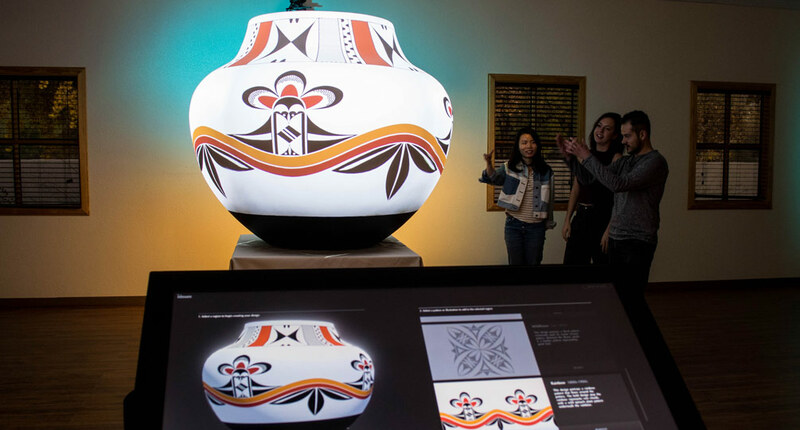 Specialized software reads real-time data from the river and translates it into the movement of color and light. Sky is a light installation in the United Terminal at San Francisco Airport. The 27 suspended spheres have illuminated interiors that fade in and out at various intervals giving the impression of a flat illuminated surface. Morgan’s personal portfolio shows the full breadth of his work. We’re glad to welcome him and the new opportunities he brings to us and our clients. 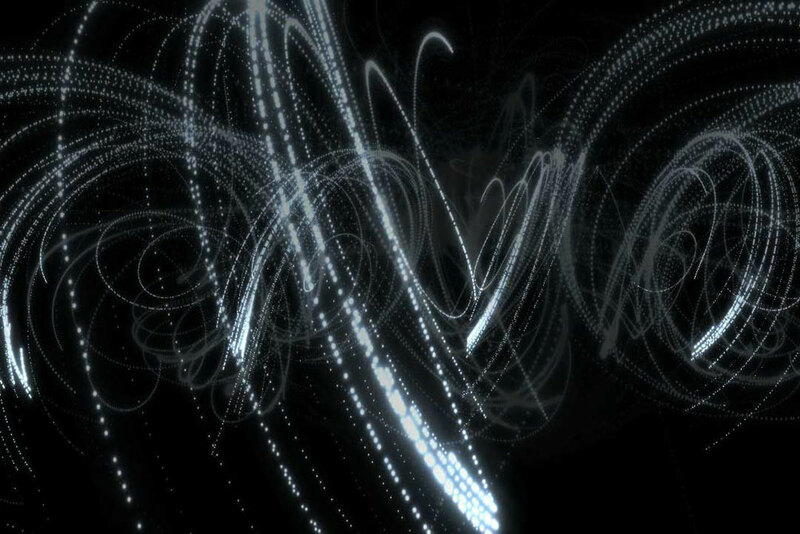 A screen shot from InkySpiral, a generative digital painting. 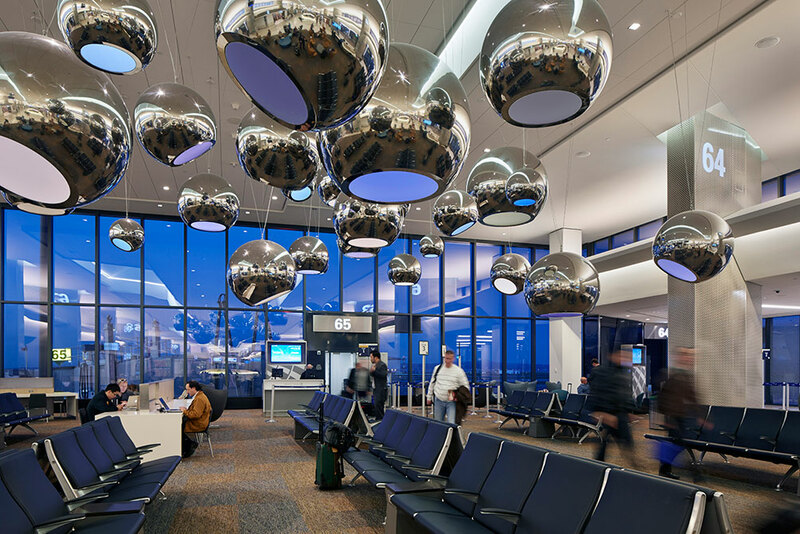 Sky lighting installation at San Francisco International Airport. 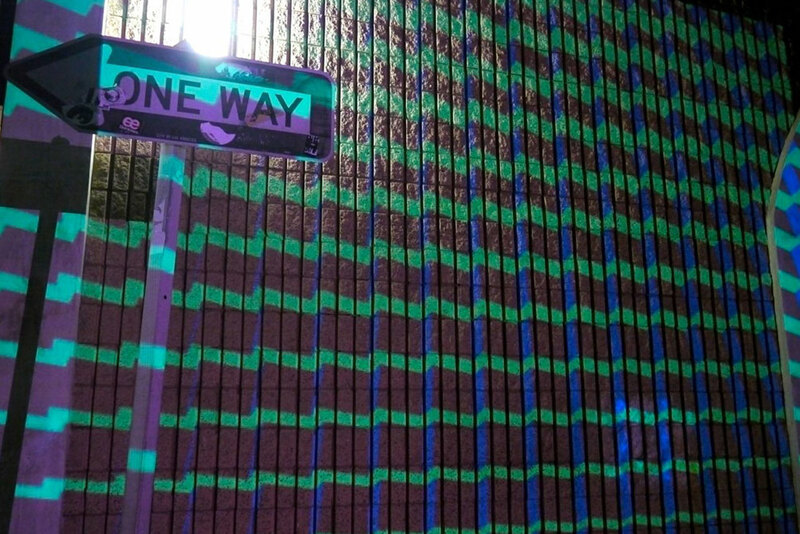 Image of Q-Bic, an audio-reactive projection at Venice Art Crawl.